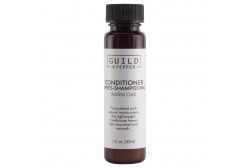 Guild and Pepper / There are 5 products. 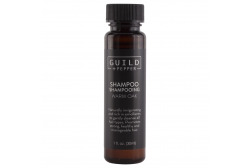 Carefully crafted with high-quality ingredients and essential oils, the GUILD+PEPPER Collection represents the perfect alchemy of past and present, a thoroughly modern throwback designed to intrigue today’s discerning traveller. Warm oak is balanced by fresh hints of bergamot and Moroccan grapefruit, mixed with aromatic and spicy coriander and accompanied by a trail of sensual oud and cedarwood for a distinctly contemporary fragrance, ideal for men and women alike. 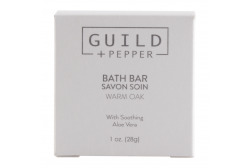 The GUILD+PEPPER Collection marries the strength and unity of a guild with the nature and uniqueness of spice. Classic amber bottles, craft paper labels, and clean, modern typography on a classic silhouette will enhance the ambience of any guest room, from industrial to chic. Strength with flavour, history with boldness. Allow your guests to experience an authentic reflection of the past with a distinctly modern twist.